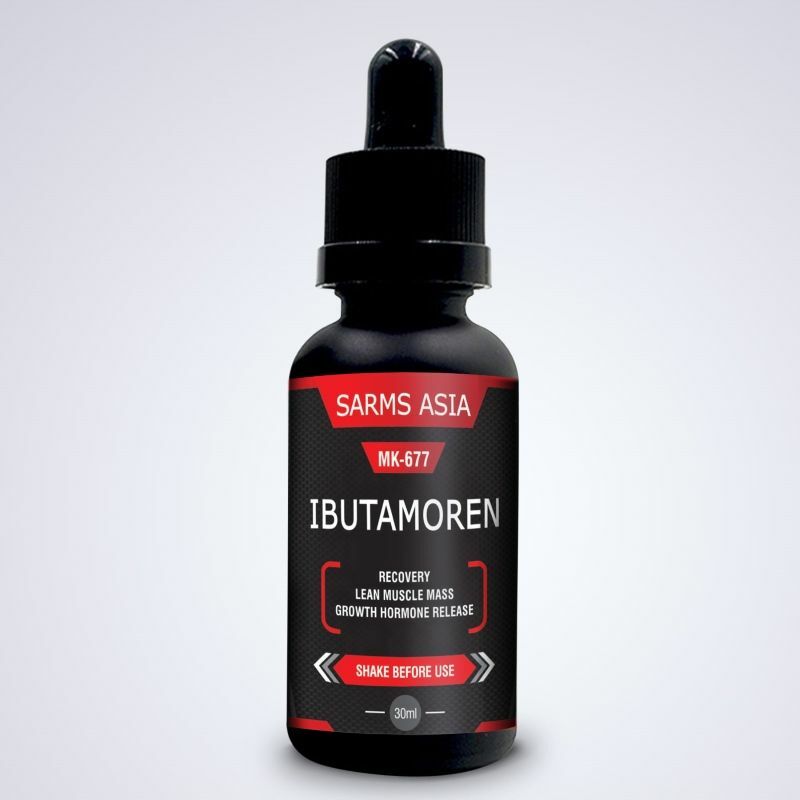 Ibutamoren is a growth hormone secretagogue, which is a technical way to say it stimulates the secretion of growth hormone from the pituitary gland and increases total growth hormone (GH) levels in the body. It’s an orally ingested supplement, so no needles or topical creams required. WHAT ARE THE EFFECTS OF IBUTAMOREN MK-677? MK-677 initiates several hormonal changes in the body. Along with increasing the production of growth hormone, it also increases insulin-like growth factor (IGF-1) in users. One of the key points of Ibutamoren, however, is that it effects these changes without increasing cortisol levels which has very undesirable effects such as suppressing the immune system, reducing recovery capabilities and negatively impacting cognitive performance. An increase in Growth Hormone leads to increased muscle mass and increased overall muscle strength. In a double-blind randomized controlled trial, Ibutamoren increased lean mass and basal metabolic rate in obese men over a two-month period compared to a placebo. An increase in Growth Hormone and IGF-1 leads to an increase in lean mass which means a decrease in overall body fat. MK-677 has been clinically proven to increase bone density, and it is even being investigated as a potential medication for elderly individuals with bone-wasting diseases. A double-blind controlled randomized study showed that Ibutamoren increases overall sleep quality and, in particular, increases the duration of REM (rapid eye movement) sleep. We all know how essential recovery is to building muscle, and any improvements in sleep quality will likely translate to better performance in the gym. Ibutamoren stimulates growth hormone production by binding to the ghrelin receptors in the brain. Ghrelin helps to control biological rhythms, appetite, memory and cognition. Because of this, Ibutamoren improves cognitive performance by simulating the effects ghrelin. The benefits of increase human growth hormone for longevity has been proven time and time again. MK-677 will help you look better, feel better, and move better as you age. WHAT DOSAGE OF IBUTARMOREN MK-677 SHOULD YOU TAKE? It is recommended that men take 25mg/day, by taking 12.5mg in the morning and 12.5mg at night. However, if you are new to SARMs, start with half a dose of 12.5mg for the first 2 weeks. Women should normally start at 5mg a day if they are new to MK-677.